I was so anxious to crack into my Pure PB (check out my instagram post for details about my giveaway for this! 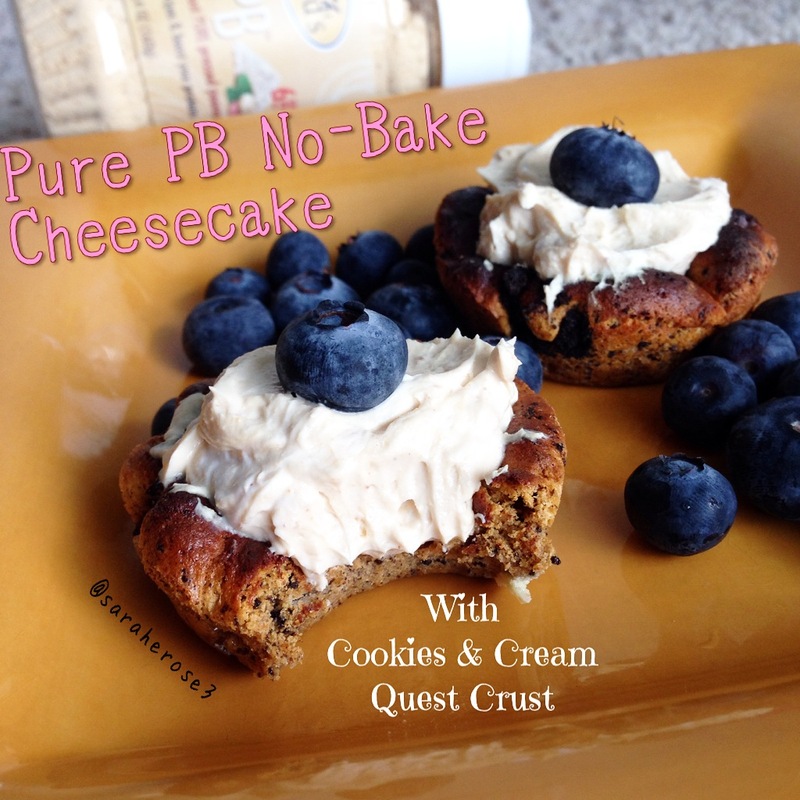 ), so I made Pure PB No-Bake Cheesecakes with a Cookies & Cream Quest Bar Crust. Accompanied by bluebs. 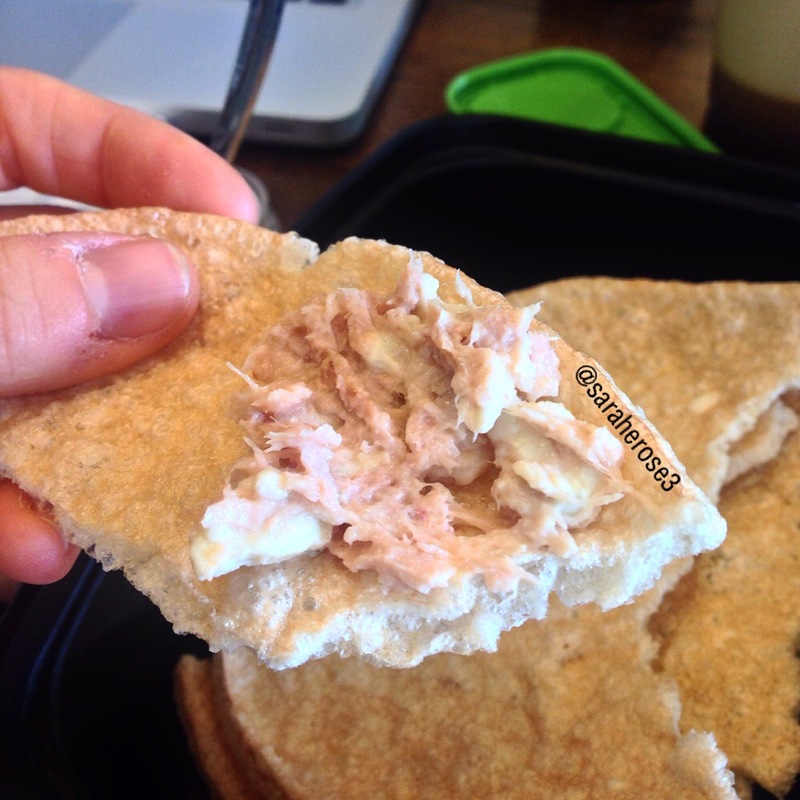 Zap your Quest Bar in the microwave (10 seconds). Take a muffin tin and spray two of the molds with non-stick cooking spray. Cut your Quest Bar in half and flatten into the two molds. Broil (500F) for a few minutes until it starts to turn brown. Pop those babies out onto a plate. 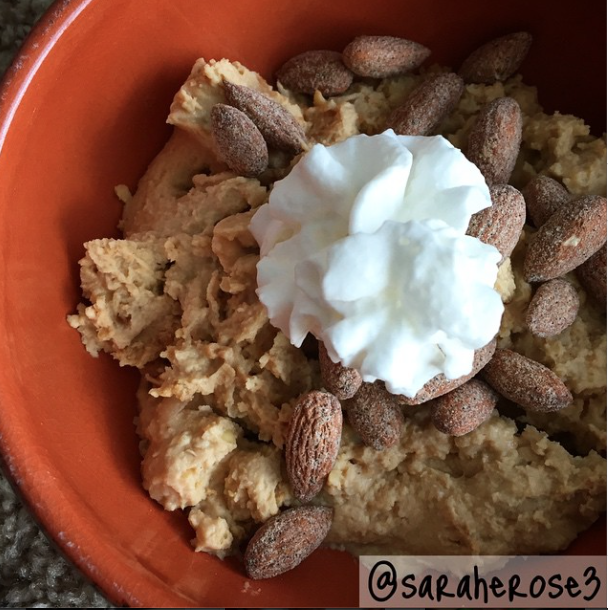 Mix your other ingredients (minus the blueberries) then divide into the two “cups” that you made with your Quest Bar. I was feeling adventurous, so I decided to try to make some no-bake cookies. 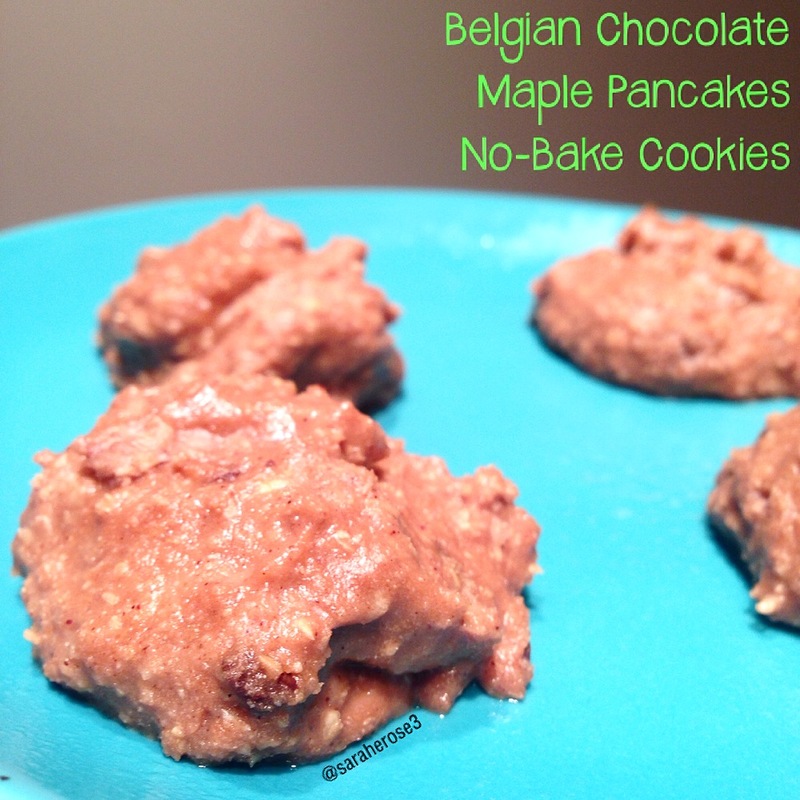 While this recipe isn’t perfect, I do think that the cookies tasted darn good! Let me know what you think and/or if you find any good tweaks! Mix all of the ingredients, slowly adding in water until they are the desired consistency. Roll/form into balls (I used a spoon and my good ole hands for this job), and place on a plate. 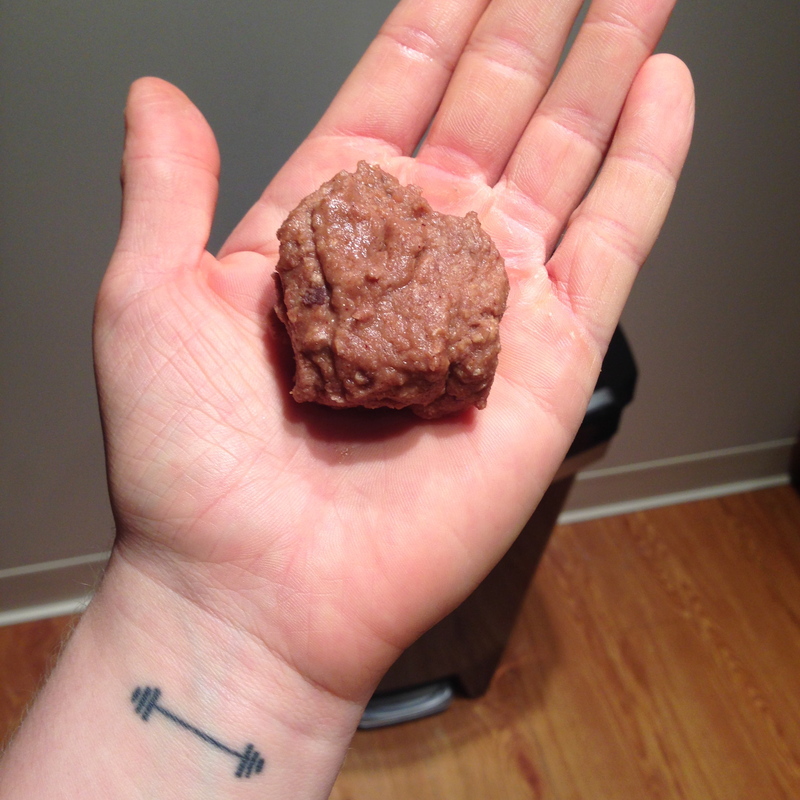 Freeze/refrigerate for ~an hour, or until the balls aren’t so mushy anymore!